Take two of your favorite things, upcycling and decorating, and put them together, for a perfectly eco-friendly Halloween! 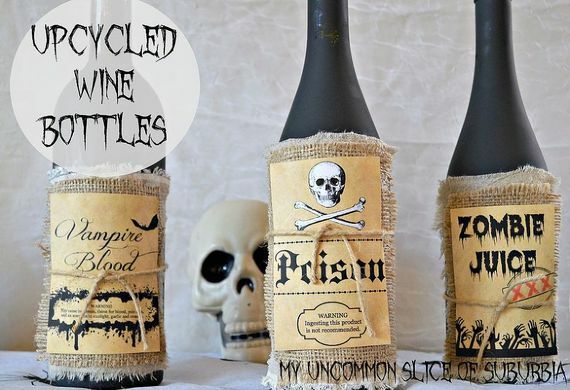 Take two of your favorite things, upcycling and decorating, and put them together, for a perfectly eco-friendly Halloween! This season, save your budget and put your creative skills to the test, by finding ways decorate your home and yard with old or out-of-use things. 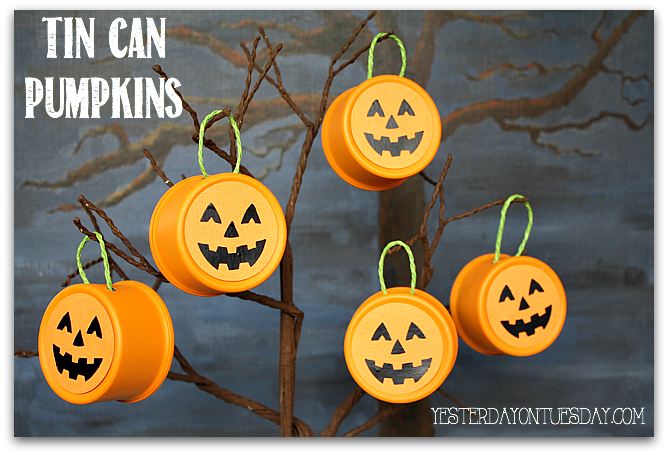 Check out these great decor ideas to upcycle and repurpose your way to a totally Green Halloween! 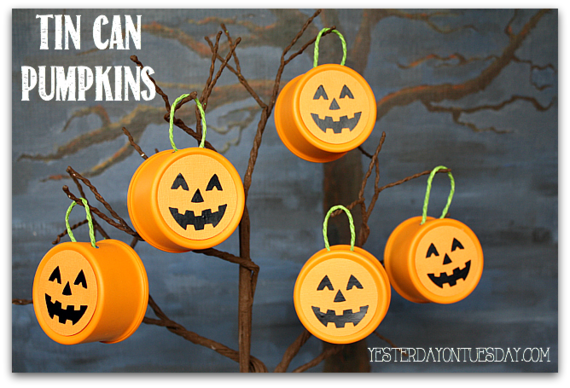 Repurpose some empty tin cans, to create absolutely adorable outdoor Halloween decor for your porch or front yard! 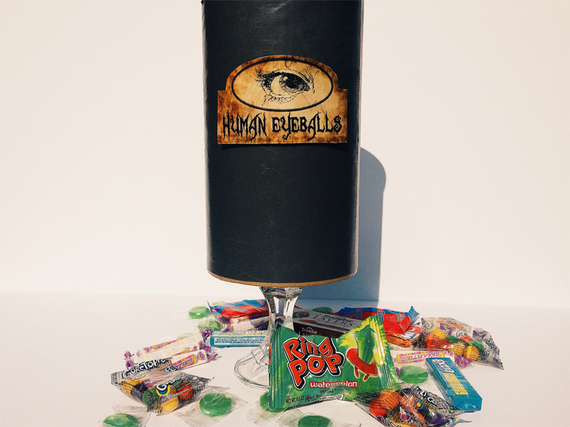 Follow this simple tutorial and put your garbage to good goulish use. This simple design is clean, chic, and beautiful - a perfectly festive decor detail to add to your mantel, porch, or tablescape! 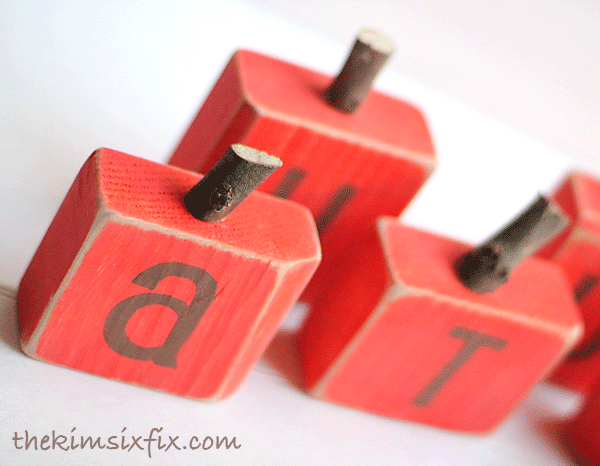 Personalize your decor and arrange any message you choose. 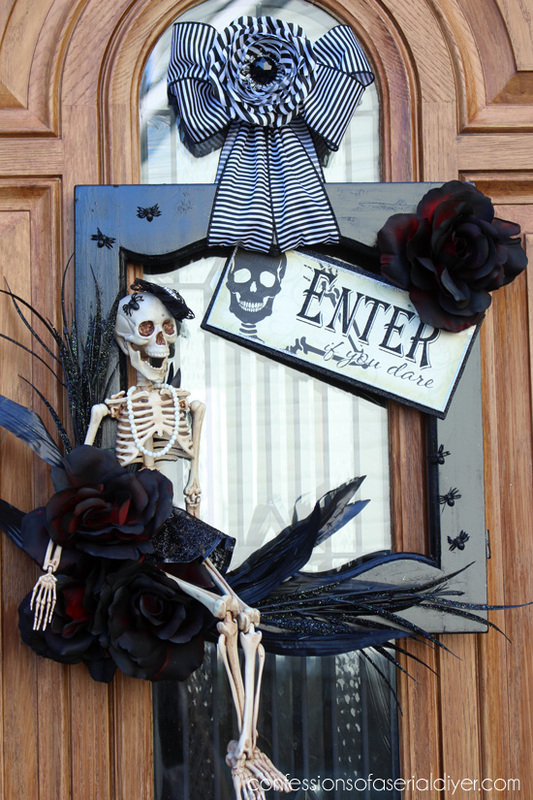 Grab some leftover wood scraps, like this retired cabinet door, and create a charmingly spooky Halloween wreath, perfect for welcoming visitors and setting the spooky mood. 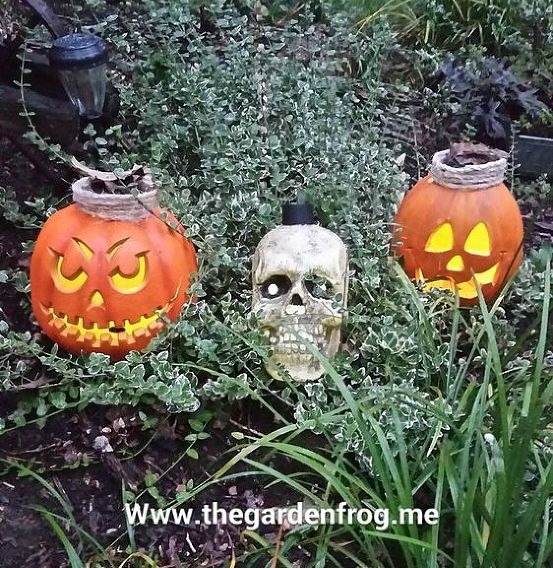 Go green with this year's jack-o-lanterns, by turning your garden decor into solar powered light-up pumpkins and skulls! Delighting trick-or-treaters is a great use of energy! 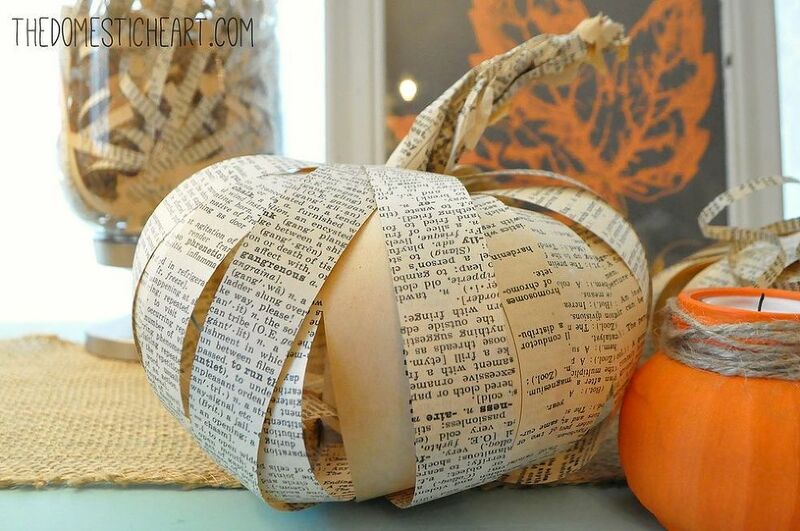 Gather some out-of-use books, cut pages into strips, and turn hidden words into pumpkin display magic, perfect for your porch or to add to a chic fall mantel! Take empty glass jars and give them a petrifying paint job, to get a low-cost, easy upcycle, that can be filled with tasty Halloween treats or colorful bouquets of fall blooms. 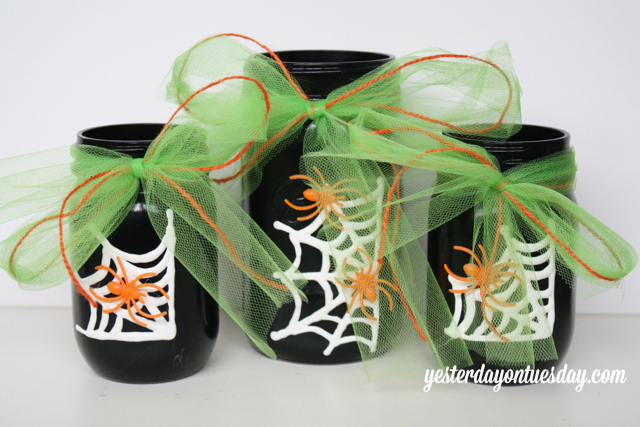 You would never guess that an empty oats canister is hiding beneath that spooky Halloween graphic, but that's the beauty of repurposing - you can reuse and rock this creepy candy container at the same time! 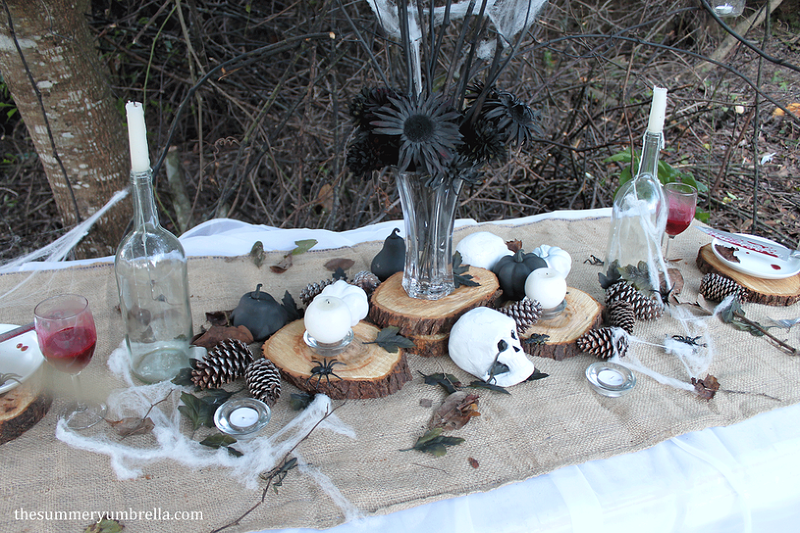 Save your empty glass bottle and use them for whimsical and spooky Halloween decor, to add creative character and useful upcycles to your holiday decor. 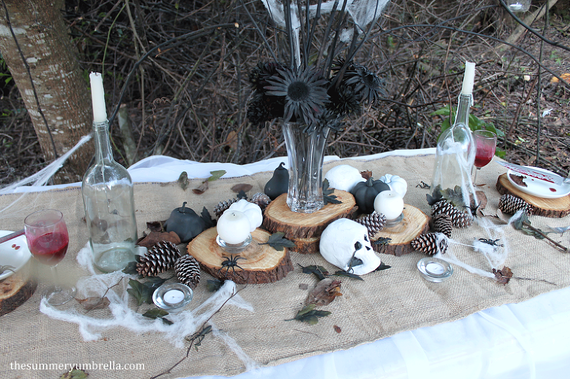 Use natural elements to create a tablescape that will 'wow' your guests and keep your Halloween eco-friendly! 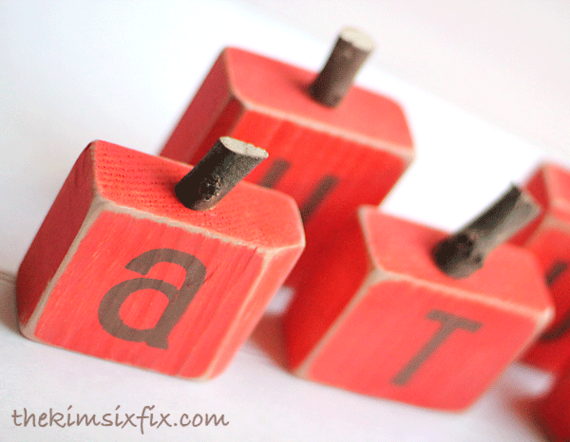 For more ways to go green this holiday season, check out Hometalk's Repurposing and Upcycling topic page!